Even though they’re almost microscopic, bed bugs have the power to make people feel afraid, dismayed and disgusted, often all at the same time. And, as social creatures, human beings tend to seek out information from their peers — and the internet — whenever an offensive and upsetting situation like a bed bug infestation occurs rather than contacting a professional. That’s when myths and misunderstandings can run rampant. Here are a few of the most common bed bug myths — debunked — that can help you explain to your customers what’s true and what isn’t. 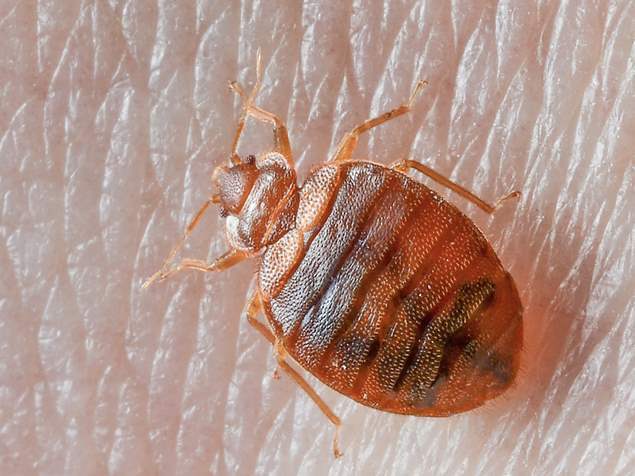 Truth: Bed bugs can bite in any configuration. Few people have encountered a feeding bed bug that intentionally stops what it’s doing and moves to a new spot. Bed bugs bite wherever and whenever it’s most convenient and productive for them. Truth: Bed bugs have been observed climbing glass containers multiple times. Myth 3: Keeping the lights off at night will prevent bed bugs from biting you as you sleep. Truth: Bed bugs can and will bite regardless of whether a room is dark or light, or whether it’s day or night. Truth: While professional opinions vary, most furniture can be treated and saved — unless it’s highly infested and/or old enough that it’s simply not worth keeping. Best practices dictate that pest management professionals try to preserve their clients’ assets whenever possible. Myth 5: It isn’t that difficult to successfully and safely eliminate bed bugs. Truth: Anyone who does his or her research can follow best practices to control bed bugs. However, professionals who are properly trained in bed bug elimination and prevention have the best chance of successfully ridding a home or business of bed bugs. Truth: While research has shown that bed bugs may avoid surfaces treated with N, N-Diethyl-meta-toluamide (DEET), a common ingredient in mosquito repellents, they will still feed on living organisms. According to the Bed Bug Central blog, the use of mosquito repellent just means they are less likely to do so, and research has shown the repellency of these products breaks down quickly. This newsletter was produced by North Coast Media’s content marketing staff in collaboration with AMVAC.